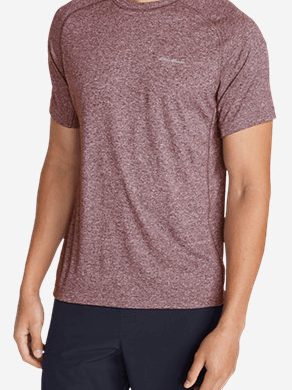 Built for active performance and superior comfort, this ultra-versatile T-shirt features a polyester knit with that exceptionally soft, easy-on-your skin feel that consistently makes it first from the drawer when you’re going to be working hard or just kicking back. FreeDry moisture wicking disperses sweat so your skin feels drier during workouts. FreeShade UPF 20 sun protection shields skin.